“What have you gotten yourself into, Bedelia?” asks both Hannibal and the audience as season three of the eponymous horror series returns to our screens. We last saw Bedelia Du Maurier (Gillian Anderson) and Dr Hannibal Lecter (Mads Mikkelsen) on a plane to France at the end of the cataclysmic season two finale. Lecter had finally taken off his person suit, allowing his pursuers at the FBI to truly see him; a process that left two agents stabbed, his surrogate daughter with her throat cut and his pseudo girlfriend thrown out of a window. You would hardly know that any of this had happened as the season begins. We follow the leather clad Hannibal as he motorcycles though a dramatic Paris evening to a high class function, where he meets a rude young man – Anthony Dimmond (Tom Wisdom – 300, Dominion). Lecter introduces himself as ‘Boris’ and listens politely as Dimmond tells him about having worked for Dr Fell, a man he has seen Lecter observing, but does not realised is actually his prey. The evening ends with Hannibal consuming Dr Fell’s beautifully cooked kidneys in the mans own home. Another evening in another city- Hannibal and Bedelia dance together in a Florence ballroom. Lecter has just been appointed the curator of the Palazzo Capponi, an early Renaissance palace and art collection in the Italian city of Florence, under the name of Dr Roman Fell. His expertise in Medieval Italian language and politics is challenged by the exceedingly rude Professor Sogliato (Rinaldo Rocco). Hannibal is able to quote La Vita Nuova – Dante’s First Sonnet- in it’s original language and discuss it in depth, however Sogliato is unconvinced and suggests that he should lecture the Florentine academics on the subject to prove his true understanding. We then see the ‘happy’ couple at home; Lecter casually commenting on the peace he has found in Florence, which has lead him to kill “hardly anyone”, whilst Bedelia suggests that this is due to his concerns in life being aesthetic rather than ethical. Although she states that she feels in control of her situation, a series of flashbacks showing the events leading to this point suggest that Bedelia is drowning under Hannibal’s influence. Lecter’s bloodsoaked arrival at her home after stabbing Will Graham and the others, and the incident involving the death of the patient that lead to her retirement are both show in more detail. Whilst this patient (Zachary Quinto – Heroes, Star Trek) was alluded to in previous seasons it was suggested that the death was an accident or that Hannibal was directly involved. Instead we find that Bedelia was directly responsible for the death with a controlled use of force- her hand literally down the man’s throat. Hannibal took control, convincing her that she could not claim self defence and offering his help in presenting the incident in a more favourable light. Hannibal’s peace lasts no time at all when Anthony Dimmond appears to Florence intending to speak with Dr Fell and finds ‘Boris’ in his place. Clearly Lecter intended for his victim’s relative reclusiveness to hide his impersonation. Now he is faced with a person who knew the man intimately and who saw Lecter in the same room on the day that the real Dr Fell vanished. 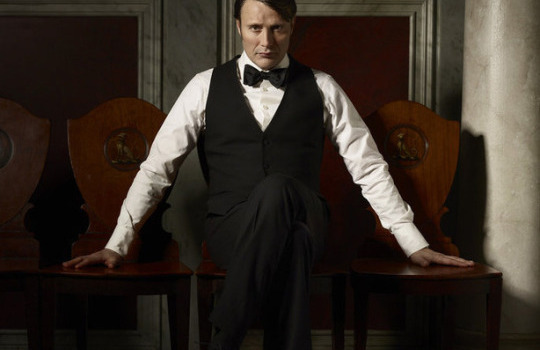 Hannibal offers an ominous invitation of “my wife and I would love to have you for dinner”. There follows an innuendo and cannibal pun laden meal which, to everyone’s surprise, ends with Dimmond leaving alive. The increasingly terrified Bedelia contrives to have her face seen on camera at the train station before attending Hannibal’s lecture on Dante’s comparison of the suicides of Judas the Biblical traitor and Pietro Della Vigna, an Italian politician who was falsely accused of treachery and heresy. Disturbed by the implication of the lecture she flees beforeot is complete; not realising that Hannibal is bringing Dimmond back to their home to discuss the proposed ‘arrangement’ over the impersonation of Dr Fell. Dimmond has admitted that he was not fond of his former employer and suggests that Hannibal “clearly found him as distasteful as I did”, failing to spot the sinister meaning in Lecter’s reply of “on the contrary”. Poor Bedelia is heading for the door as the two men enter and she ends up showered in blood as Dimmond is promptly clubbed around the head with a bust of Aristotle. Hannibal forces her to choose between observation and participation in the situation before snapping the impudent young man’s neck. The episode closes with flayed body displayed in a chapel in the style of a origami heart, and Hannibal alone on a train with a suspiciously large trunk. Well, if you thought that episode was going to tell us what happened to Will Graham, Jack Crawford, Alana Bloom and Abigail Hobbs after the grisly ending to season two I’m afraid you’re rather out of luck. 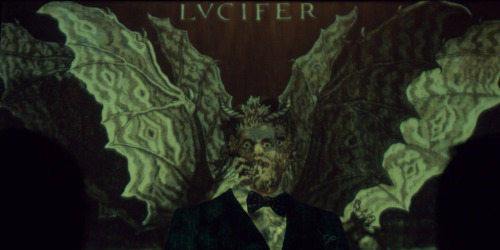 Although the Florence scenes are interspersed with black and white flashbacks to Lecter’s discussions with Abel Gideon (Eddie Izzard – Mystery Men, Shadow of the Vampire), showing that the eating of the faux Chesapeake Ripper took much longer than was originally implied; Hannibal gives Bedelia very little information about what he did prior to showing up in her shower. 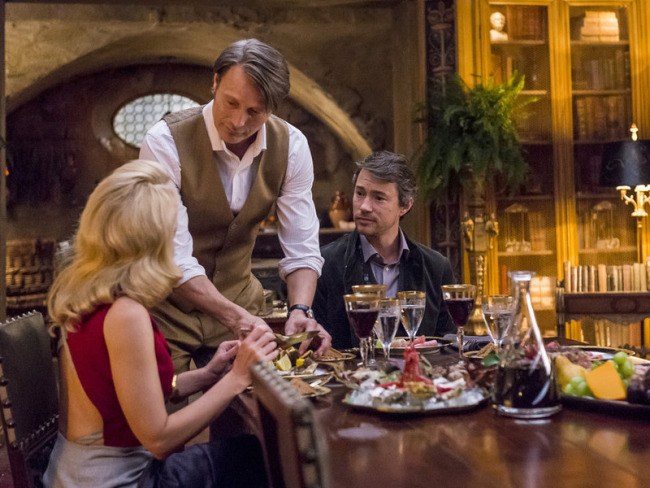 The overall plot of the episode will be familiar to fans of the books and movies as it follows the first half of the Hannibal novel, which is the third in the series. Originally taking place after long after Red Dragon, set in a time with less effective facial recognition and international police coordination it followed a much older Hannibal, who had escaped from prison in the course of Silence of the Lambs. The novel version of Hannibal had gone some way towards disguising his appearance, a measure that both film and television Hannibal seem to think unnecessary. This requires a small suspension of disbelief on the part of the audience, I mean either Hannibal or Bedelia could have at least dyed their hair or something. The use of this plot out of order with the original canon, and the fact that the main Red Dragon plot has not been address at all yet, seem to suggest that Will Graham has survived but give no clues to the others. Plus some of the season three promos have shown Will Graham being not dead, which is probably conclusive; though I wouldn’t put anything past this show at the moment. Bedelia: My husband has a very sophisticated palette, he’s very particular about how I taste. Dimmond: Is it that kind of party? Bedelia: No, it really isn’t. Of course it wouldn’t be an episode of Hannibal without rampant cannibal puns or lovingly artistic shots of suspicious meat products. The third season has started with plenty of both, and you’re likely to end the episode feeling reluctantly hungry. Let’s pretend we’re hungry for more information about the devastation Hannibal left behind in Baltimore, shall we? Steampunk illustrator, disabled cosplayer, cat wrangler, maker of terrible puns. I draw under the name of Phantoms Siren.